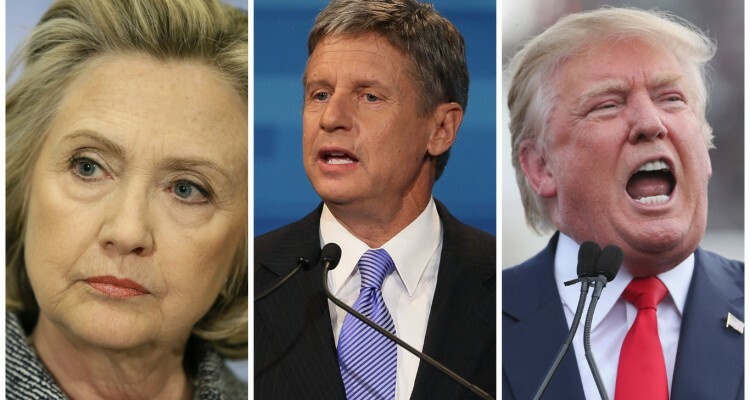 Should Gary Johnson Leverage His Influence & Endorse a Candidate? Depending on which Presidential poll you look at, you’ll find Gary Johnson with a strong showing of around 8-12%. Strong when you consider he’s a third party candidate. Most third party candidates rarely break 1%. Of that support, lets say only 5% end up actually voting for Gary on election day. That’s still enough to influence the outcome between the two mainstream candidates, Trump & Clinton. If Hillary loses by a small margin, they’ll do what they did to Ralph Nader & blame Johnson for the reason Clinton didn’t beat Trump. If Trump loses by a small margin, they’ll do what they did to Ross Perot & blame Johnson for the reason Trump lost to Clinton. You get the point. So what should Gary do with this influence? Well, it’s important to look at what Ross Perot & Ralph Nader actually accomplished. The answer is nothing. Taxes still went up & the Wall Street fat cats still rigged the economy. All that time & money traveling the country, for nothing. So should Gary try for a different outcome? Gary’s plan to really shake things up this election was to be allowed in the debates. That failed. The only other way to truly influence the election now, is to endorse a candidate. It’s a risky & some might say suicidal move for both Gary & the Libertarian Party as a whole. The LP would be forever pegged as a supporter of X party depending on which way Gary went. On the other hand, The LP might never have this opportunity again. The opportunity to at least get one of the major candidates to adopt some of their platform. Gary Johnson could force the candidates to meet with him. The candidate that offers to publicly adopt the most Libertarian policies will receive his endorsement. You could have Clinton on record as saying “I’ll support a balanced budget amendment” or Trump on record saying “I’ll audit the fed”. He could force them to share the stage with him at campaign stops, expanding the LP’s reach. Without a doubt though, Gary would lose support if he endorsed a candidate. At least half. That still leaves him with 2.5% of influence at the ballots. Which as we’ve seen in recent elections, 2.5% could put a candidate over the top.